The 15th of each month at 12 o’clock sharp Paris time, we post a photo on a theme chosen by a member of Photo of the Month, a group of worldwide amateur bloggers and photographers. A great opportunity for us to share some photos and travel memories. The theme of this month is square, chosen by Tuxana. Here it is, at the very last minute! 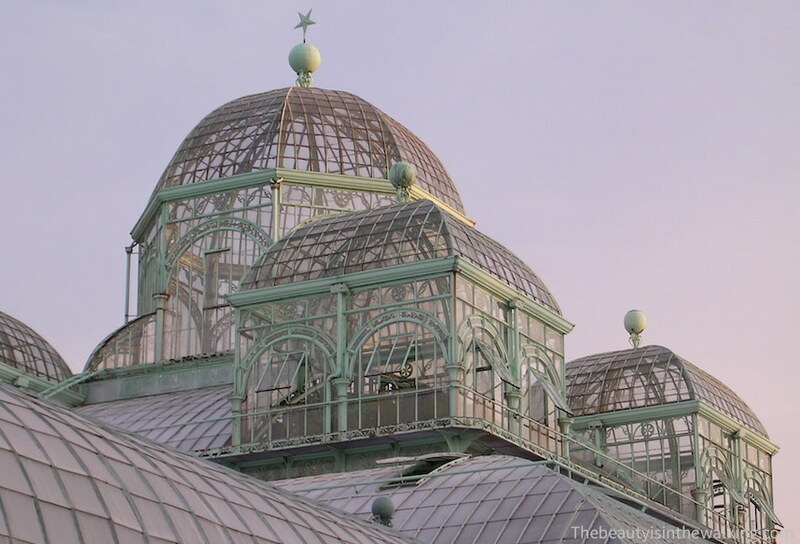 This is a photo of the magnificent Royal Greenhouses of Laeken in Brussels. Each year in the springtime, they are open to the public for three weeks. It’s a unique opportunity to see the architecture created by Alphonse Balat, and the remarkable collection of plants that it houses. The many pans of glass look like a piece of jewellery. Lilou Soleillant, Morgane Byloos Photography, Gilsoub, Dr. CaSo, Lyonelk, Céline in Paris, Lair_co, Rythme Indigo, Nicky, Chat bleu, Escribouillages, Aude, Carole en Australie, Josette, Luckasetmoi, Gine, Danièle.B, Je suis partie voyager, La Fille de l’Air, Koalisa, Philae, Estelle, Lau* des montagnes, Josiane, La Tribu de Chacha, Tuxana, écri’turbulente, J’habite à Waterford, Lavandine83, Mirovinben, magda627, Tambour Major, Pat, Philisine Cave, Alban, Renepaulhenry, Blogoth67, Tolen 29, DelphineF, Frédéric, Calamonique, Sense Away, Laurent Nicolas, Chloé, Cécile, Kenza, Giselle 43, Mamounette et ses aiguilles, MauriceMonAmour, Angélique, Cricriyom from Paris, Sinuaisons, Brindille, CécileP, Christophe, Akaieric, Testinaute, Lavandine, Nanouk, Noz & ‘Lo, E, El Padawan, Krn, Xoliv’, Pilisi, ÔBD, Who cares?, Alexinparis, Eurydice, Mamysoren, Autour de Cia, Chiffons and Co, The Beauty is in the Walking, Sous mon arbre, BiGBuGS, Milla la galerie, François le Niçois, KK-huète En Bretannie, Evasion Conseil, Paul Marguerite.